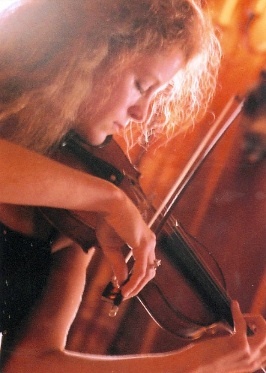 Ms. Susan Heerema, performing as violin soloist since age 9 and Concertmaster since age 11, graduated the Juilliard School of Music in 1992 (BM) under the tutelage of Dorothy DeLay, Hyo Kang, and Richard Simon. Ms. Heerema is and has been the Concertmaster of Spectrum Symphony of New York since 2012. Among her past positions, she has performed all the various opera repertoire with conductors Joel Revzen, Anton Coppola, Kathy Kelly, and Alfredo Silipigni. She has been the personnel director of orchestras and an opera company, and has performed in different countries. Ms. Heerema has played under the baton of Rostropovich, Rampal, and Menuhin in France; toured Norway, Iceland and Scotland; performed with the Spoleto and Sarasota Opera Festivals, and with every major Baroque festival in the U.S. She has held positions of Concertmaster and Principal for multiple orchestras, some of which include the Westchester Symphony, Ocean Grove Orchestra, First Baptist Orchestra, Amor Artis, Collegium Westchester, and the Berkshire Opera Company. She has been both choral and orchestral director and on orchestral tours like Concertmaster for the Phantom of the Opera national tour. Ms. Heerema has also performed on various TV shows including soap operas, David Letterman, Conan O’Brien with celebrities such as U2, Doc Severnson, Matchbox Twenty VH1, and Blackstreet MTV Unplugged. She has recorded on labels for artists such as Vanessa Williams, Aretha Franklin, Tony Bennet and Brian Stokes Mitchell. Susan served as contractor and Concertmaster for “Prayers for America,” a service at Yankee Stadium for the victims of September 11 terrorist attacks. For nine years, Ms. Heerema was Berkshire Opera’s Personnel Manager, music librarian, and housing and hiring all musicians. Ms. Heerema continues to perform in all these mediums of both small and large ensembles including solo performances of classical, pop, rock, and jazz. The concertos she has frequently performed with orchestras include the Mendelssohn, Bruch and Barber violin concertos. She plays on a 1906 Romeo Antoniazzi violin.